I have to admit, I love Neopets on so many different levels! I love the games that grant me trophies and neopoints. I love my pets, who are customized to within an inch of their lives. I love the witty items on this website and their even wittier descriptions. I love talking to fellow Neopians on the Neoboards. And most of all, I love Neocash! I'm a recent convert to the NC Mall, and I don't really spend much, but what I do spend is so gratifying! Once every couple of weeks, I look through a catalog of Neopets items and find cute items for my gallery. And around once a month, I also treat myself to 500 NC. I find such fun and enjoyment in these small things that I had to wonder, how do other Neopians treat themselves to special things on the Neopets website? One user replied that, for every 1.1 million neopoints he earned, he spun the Wheel of Extravagance. I was impressed by his bravery... 100,000 neopoints is a lot of neopoints to spend on a wheel with random results! Yet I found that a lot of the users were willing to gamble at the Wheel of Extravagance without missing the neopoints too much! Another user had a more popular way of indulging himself: every time he sold an expensive item, he treated himself to a few Nerkmids to use at the Alien Aisha Vending Machine. This seemed to be one of the most common way for Neopians to treat themselves to something fun and exciting! Other users collected specific items, such as Snowglobes or Backgrounds. I looked at their galleries, and I have to admit, I was massively impressed by their collections! They were worth millions and millions of neopoints, and I was positively agape with astonishment! In fact, most of the users on my thread admitted that adding to their galleries was their main way of enjoying the Neopets website. After looking at their amazing collections, I felt like patting them on their back and giving them all congratulations! I felt like they all deserved to win the Gallery Spotlight. For many of the users, indulging themselves was just as easy as opening up their favorite game and spending a few minutes racking up points. I was pretty impressed by their gaming trophies, especially since I'm not the greatest pro at games, and I had to stop myself from drooling over their impressive trophy collections! One girl claimed she indulged herself by training her pet. That got me thinking... What some people consider work, others consider fun! I personally don't have the patience to train my battle pet, choosing instead to zap him every morning for stats. Gathering the neopoints to buy Codestones and Dubloons for my pet seems rather difficult. However, this girl thought it was all fun! Training her pet was her favorite part about Neopets! Another user named "tiickled" said about her active pet, "She does 5 jobs a day, 10 kitchen quests a day, and trains as often as possible. Oh, and a FQ [faerie quest] each day too, for the cookies." Food for thought, eh? And though I asked people what their indulgences were, many answered with trophy goals! More food for thought! One user was adamant about reading as many books as possible to her pet. Though it sounded like work to me, she thought it was great fun to save neopoints and buy books in hopes of winning the Neopian Book Award! This user was also fixated on perfecting her Neohome so that she could win the Neohome Spotlight! Hardly sounds relaxing, but for her, it was all great fun! Apparently, the anticipation of getting a goal done was enough to turn chores into great games! Many people listed "getting their dream pet" as their main indulgence on the Neopets site, and they loved saving their neopoints in the bank and watching them grow! A great way that many people on Neopets seemed to relax was to talk to their guildmates. Another favorite way to relax was to camp out in their favorite Neoboards. Though I don't belong to a guild (and therefore don't socialize that way), I do find a lot of enjoyment in visiting my favorite Neoboards, such as the Help Neoboard, the Pound Neoboard, and the Battledome Neoboard. I'm not a famous battledomer by any means, but there are so many amazing battlers on the Battledome Neoboard that I look up to! 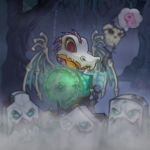 Their battle pets are stunning! And for those who don't train their pets, there are other ways to indulge their pets! I was literally overwhelmed by people who said that one of their main indulgences on Neopets is to customize their pets with wearables. I have to admit, I don't like to clutter up my pets with too many trinkets, but I do have an impressive Background collection that I treasure deeply! At the time of this article, the Advent Calendar is in full swing. People are flocking to the Calendar and watching cute animations that the Neopets Team created with care, picking up free gifts that include toys, Neohome items, foods and wearables, and chatting with other enthusiastic users on the Winter Starlight Celebration Neoboard. Visiting the Calendar is my way of indulging myself to a bit of fun and sparkle this winter, and the items I get from it are so cute and interesting! Finally, I'd like to end this article with a truly sweet quote by a user on the Help Neoboard. When asked how he indulges himself on Neopets, "feel_alive" replied with, "Um... by playing Neopets in the first place." Truer words were never spoken! Thanks for reading this article, kind Neopians, and may you always indulge yourselves by playing Neopets in the first place!